Since 1988, My Neighbor Totoro has been capturing the hearts of children and adults everywhere and is one of the most beloved films in Japan. It appeals to nostalgia, nature’s beauty, family bonds, and pure innocence; it’s a movie that feels like childhood. 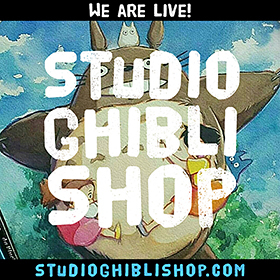 The film itself and its titular character, Totoro, have become cultural icons and Totoro’s figure represents Studio Ghibli as part of the studio’s logo. If you haven’t watched this classical and legendary movie already, grab some popcorn, press the play button, and come back here as soon as the movie is over. It will be worth your time. Set in a period that is both modern and nostalgic, My Neighbor Totoro begins when two young girls and their father move to the countryside to be closer to their hospitalized mother. Their new home might be falling apart, but it doesn’t ruin their plans for adventures, as they explore and meet the magical inhabitants of the nearest forest. After university professor Tatsuo Kusakabe and his two daughters, Satsuki and Mei, move to an old house in the countryside to be nearer to the hospital where the girls’ mother, Yasuko, is, Satsuki and Mei start to exploring and playing like there’s no tomorrow. They seem happy to be close to nature; the possibilities for games, exploring, and fun seem countless. The girls and the father are unbothered by the collapsing house and they keep their optimism and coolness even when they come across susuwatari, small, black, and round house spirits who are visible when moving from light to dark places. This movie has no great adventure and no villains, but it has something that is worth a lot more: It shows how it really is to be a kid, how it feels to see things for the first time, how a child can feel truly happy just by seeing a butterfly flying, and how fear and death are unknown to a kid’s soul. And the movie makes that possible by placing the POV from the child’s perspective. When Mei follows the little bunny-like Totoro and ends up in the nest(?) of the big one, she is fearless. She just stands there and mimics him. They both feel safe and create a bond with each other and after that, Totoro and his friends help the girls in many situations. Maybe they are spirits; maybe they are creatures who live in their imagination -it doesn’t really matter. When Mei gets lost -again-, the whole village works as a community and everyone helps to find her, but with Totoro and the magic Cat-bus, Satsuki finds her first and leads her to the hospital where they see their parents, a scene that makes your heart melt like ice cream. 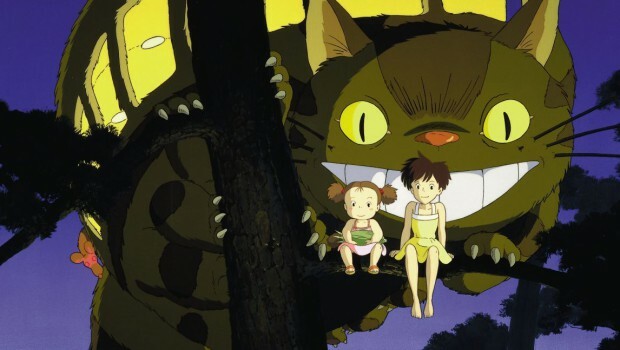 The soundtrack in My Neighbor Totoro is composed by Joe Hisaishi, a good friend of Hayao Miyazaki and the music composer in many other Studio Ghibli films, such as Castle In The Sky and Princess Mononoke. The music is soft and sweet, as the movie itself, and conveys a calm and warm feeling. My Neighbor Totoro is a film that’s gorgeous to look at. The landscapes are amazing and spring is all over the place. The extremely talented Kazuo Oga is the art director and, PLEASE, Google him to see his masterpieces. 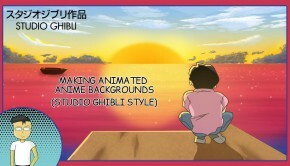 Watercolors and magical landscapes… Oga and Miyazaki worked together on the film’s palette and the result was described by Studio Ghibli’s producer Toshio Suzuki as, ‘Nature painted with translucent colors’. 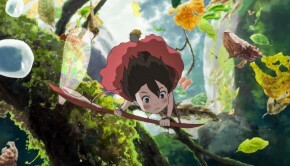 After My Neighbor Totoro, Oga worked in many other Ghibli films, such as Princess Mononoke,and his style became a trademark for Studio Ghibli. My Neighbor Totoro is Studio’s Ghibli second film, and as said by many people, the most iconic. The movie won the Animage Anime Grand Prix prize and the Mainichi Film Award and Kinema Junpo Award for Best Film in 1988. It also received the Special Award at the Blue Ribbon Awards in the same year. My Neighbor Totoro ranked 41st in Empire magazine’s ‘The 100 Best Films Of World Cinema’ in 2010 (wow!! ), and Totoro itself was ranked 18th on Empire’s 50 Best Animated Film Characters list. 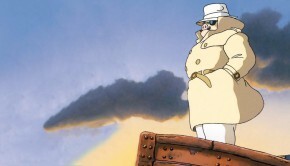 The character made multiple cameo appearances in a number of Studio Ghibli films and video games including Pom Poko, Kikis’s Delivery Service, and Whisper Of The Heart. 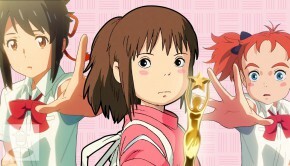 Various other anime series and films have featured cameos, including one episode of the Gainax TV series His and Her Circumstances and Toy Story 3. Totoro also serves as the mascot for the studio and it is recognized as one of the most popular characters in Japanese animation. Totoro was ranked 24th on IGN’s top 25 anime characters. In conclusion, Totoro equals many awards. Also, My Neighbor Totoro is the first of Miyazaki’s movies to be verifiably set in Japan and not a nameless fantasy realm. While searching for information about this movie, I came across a very disturbing theory which I don’t want to believe, but here it is: some people believe that Totoro is a Death God only visible by the deceased or the ones close to death (that’s why the other children can’t see him) and the Cat-bus is a bus to the grave. They connect this movie with the Sayama Incident Murder where a 16-year-old girl was raped and killed on 1 May 1963. After the incident, her sister committed suicide too. Satsuki means May and Mei…. well Mei, with both names referring to the month of the murder. Also, when Granny unpacks with Mei, there’s a sign on a box behind her that translates to ‘Sayama Tea’ and the film takes place in Sayama Hills. So this creepy theory says that Mei drowned in the river and Satsuki died while trying to find her. Also, the mother who thinks she saw the kids outside the hospital is close to death. 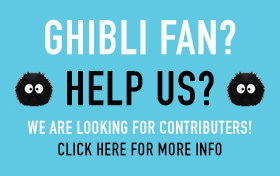 Studio Ghibli made an announcement on 2007 denying this theory – but who knows? Extra fun facts: A main-belt asteroid discovered on 31 December 1994 was named 10160 Totoro after the film’s central character and also in 2013, a velvet worm species with many small legs was named ‘Eoperipatus Totoro’, inspired by Miyazaki’s Totoro, the Cat-bus, and maybe the Greek word ‘peripatos’ which means ‘going for a walk’. My Neighbor Totoro made me travel back to my childhood and remember myself playing in the fields and having no worries… The nostalgia is strong in this movie and makes me wish for the ability of to reverse so I could live once again like the two happy sisters. The only thing I found a bit off was that Totoro doesn’t influence the flow of the film (for the viewer at least since for the girls he is very important) and appears in a few scenes. From my point of view, he is something cute (and sooooo fluffy), which brightens the movie even more and represents something pure that only children can reach. I think he represents the wild imagination of a child, and how an -even imaginary- friend can help you deal with bad situations (such as a mother’s illness). Plus, Miyazaki’s love for the spirit world is known, so it would be impossible for him to make a film without even the tiniest glimpse of magic. And Totoro is magic. My Neighbor Totoro is considered a film for children, but the truth is it can be enjoyed by everyone. It emphasizes the beauty of family and friendship (and by family, Miyazaki means everyone who is capable of love and stands by you) and teaches that when you smile all your fears can go away. Courage FTW. This film shows the importance of happiness and laughter. It offers them as weapons against every difficulty and every bad situation. Furthermore, it conveys the message that material assets are meaningless when compared to your dearest people and to being in touch with nature. More than any other movie, it will remind you how it felt to be a kid.